I want to try the external cartridge bay that Zozo sugested. But I need some schematics. Ok, I will make a prototype of an External Cartridge Bay with all the 4MB addressing range options selected by jumpers. It could also be useful for testing a lot of other projects, to put 1 to 4 16KB RAM/ROM segments exactly and easily on the position where we want. 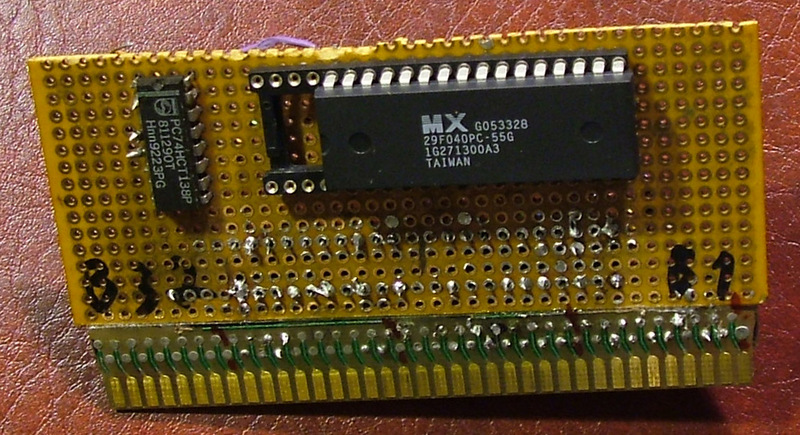 A 4 socket 16KB cartridge PCB would be useful for it. I only see a drawback, the code of the SD-Reader has to be re-written "segment-position-aware" to work externally. By now it only works at 04-07 segments because the RAM window is accessed at 07. The same with the MIDI interface. The position of the 64KB area can be selected with two 8 position jumpers. As you can see on the front view, on the first 74LS138 the Q0 output is used, while on the second 74LS138 the Q2 output is selected. This positioned the external cartridge range at the 08H-0BH address as Zozo suggested. I have a lot of Roms installed on a FlashRom inside my old Enterprise, so I have used the VENUS cartridge to differentiate from them. On the third picture you can see how the VENUS Rom has been found on the 08 segment. Only one question remain: the SymbOS use fixed address or ask it from the SDEXT? Symbos works. It uses the EXDOS drives from the list. With an empty internal Cartridge Bay and the SD reader at 08H-0BH. SymbOS behaves the very same playing an MP3 song from the G: unit. Here the Enterprise looks really an up-to-date computer! I mean the colourful SymbOS and the brand new hardware. Some more jumper suggestion: 512K SRAM and Flash ROM pinout are very similar. The main difference are the /WE location. It is on Pin31 at ROM and Pin29. Address line order only important at ROM, don't care at SRAM. 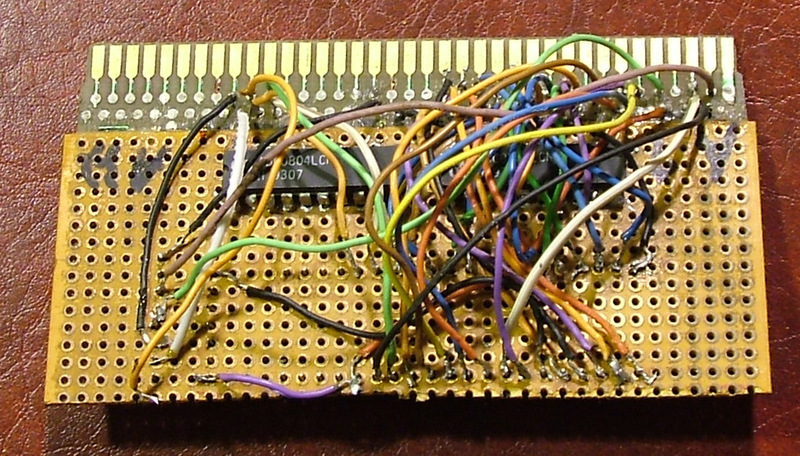 Put a ROM sockets with a jumpers for exchange Pin31/29 wires. Then any socket can be configured for use a RAM or ROM.